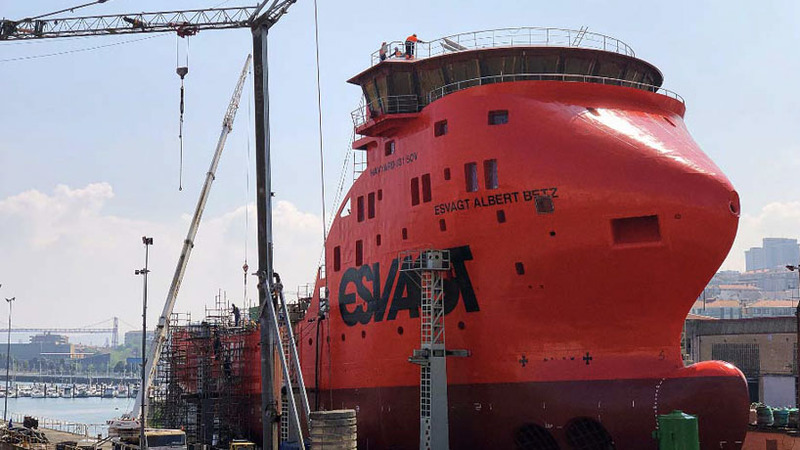 This morning ZAMAKONA YARDS has delivered the Esvagt Dana to the danish ship owner ESVAGT. 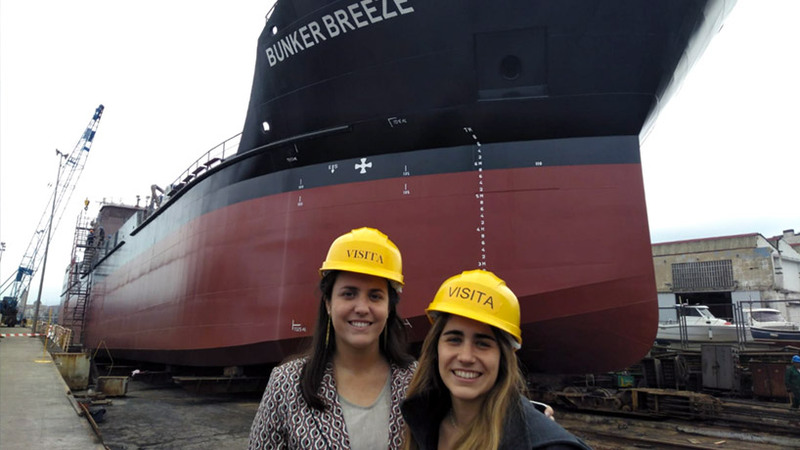 The aim of the vessel is the crew changing, assistance in emergency situations to offshore platforms, support during maintenance programs at wind farms, etc. With 88.40 mts length and 15.00 mts beam, she has the last generation of diesel electric propulsion, getting 18 knots and achieving a 13% reduction of fuel consumption compared with conventional propulsions. The ship has the capacity to accommodate up to 76 people housed in individual cabins and has a new system of telescopic davits for lowering the work boats on both sides of the ship. 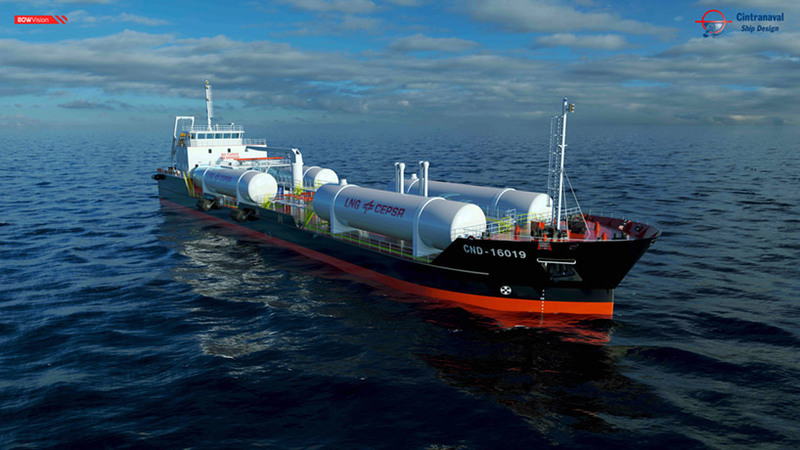 This new delivery is our 4th vessel for ESVAGT and we are proud to say that we are in process of building the 5th unit for them, a first class high tech Service Operation Vessel to be delivered in 2019 to operate in the North Sea wind farms. 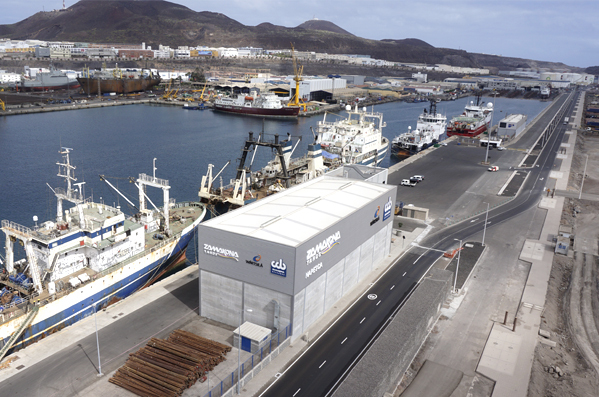 Zamakona Yards Group has facilities in Santurtzi (Vizcaya), Pasajes (Guipúzcoa) and Las Palmas de Gran Canaria (Canary Islands), with more than 41 years of experience building and repairing all types of vessels. 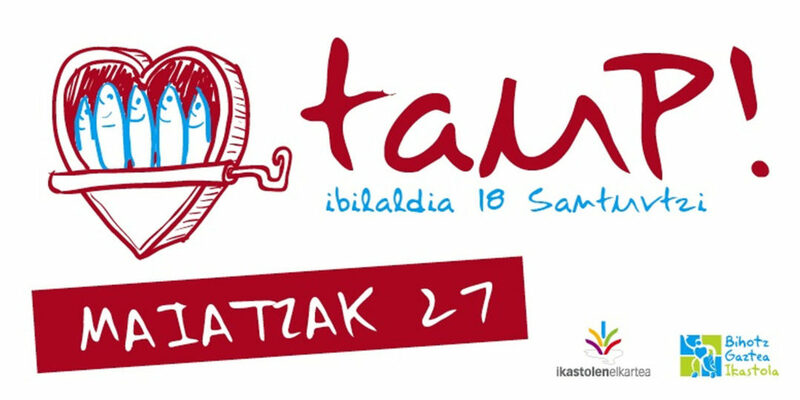 On May 27, 2018 will take place the 40th edition of the festival of the ikastolas (Basque language schools) in Bizkaia (Biscay) – IBILALDIA 2018 that this year organizes the IKASTOLA BIHOTZ GAZTEA of Santurtzi, where one of our shipyards is located. The Ibilaldia has been celebrated since the end of the 70s with the aim of promoting the use of the Basque language and promote the Basque culture. Zamakona Yards collaborates with Bihotz Gaztea in this important event for the Basque language (euskera) and for our municipality. We wish the organizers a great success and the achievement of the objectives set to realize the future projects of the ikastola. In the following link you will find the video clip and the song of this edition, with title “Taup!” that coincides with the theme of the party. The maritime essence of Santurtzi is perfectly evident. 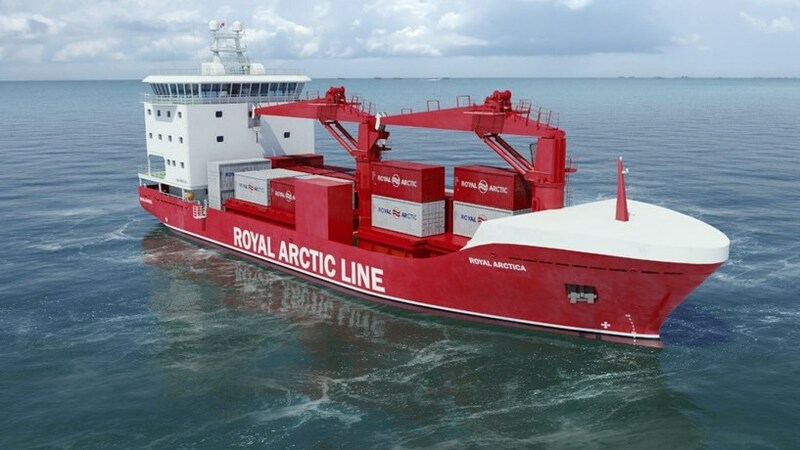 Zamakona Yards signs a construction contract with Royal Arctic Line A/S to build two ships with and the concept design will be conducted by the norwegian company Havyard. The two vessels will replace Pajuttaat and the charter ship Vestlandia, built in 1979 and 1983 respectively. The ships are designed to operate in northwest Greenland and have greater capacity than current ships. The ships will have the flag of Greenland and are expected to be delivered by 2020. This will alllow to Royal Arctic Line with the renewal of the vessels and accomplish an important milestone. Zamakona Yards will build the vessels with the latest technology and with the highest standar of quailty and efficiency. On March 31th ended another edition of SINAVAL, a meeting that is considered one of the main references of the naval sector in Spain and Europe. This year, for the first time, it was part of the Maritime World Week program, along with the Marine Energy Week, Eurofishing and FuturePort fairs, which were held at the Bilbao Exhibition Center of the Basque Country. According to the organization, a total of 1,747 professionals attended to this event to learn about the latest technological advances and to look for new business opportunities in the “blue economy” or the industries of the sea. This industry currently moves 275 billion euros in the European Union. In addition, 100 speakers from 16 different countries took part in the round tables and seminars, being able to show their specialized vision on various aspects of maritime news. Among all these presentations, it is worth mentioning the one carried out by the Basque Maritime Forum, an organization that brings together associations, public institutions and companies from the Basque maritime sector. This presentation analysed the situation of the naval industry and its prospects in Spain and in the Basque Country. It was stated that for this year 2017 there is “a slight tendency of improvement”, having as the main challenge of “recovering levels of activity that consolidate the Industry and enable to regain their position and prestige in the international market “. 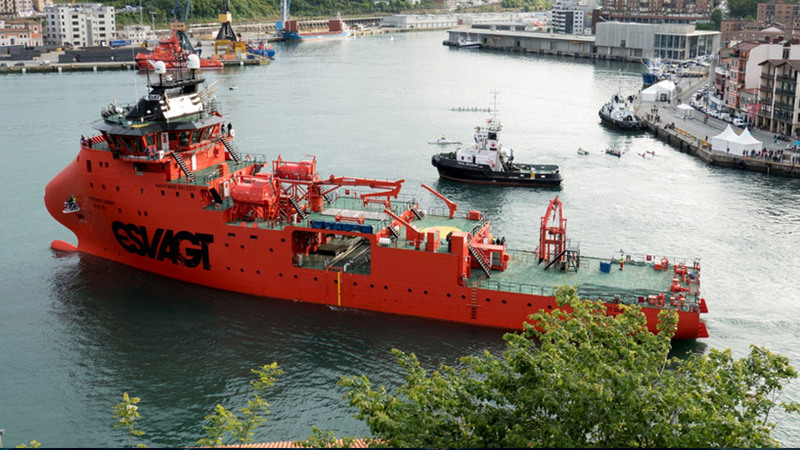 Furthermore, this organization announced that in the first months of 2017, the Basque shipyards, which currently have a portfolio of 33% of the total national orders, have matched the contract figures formalized last year. 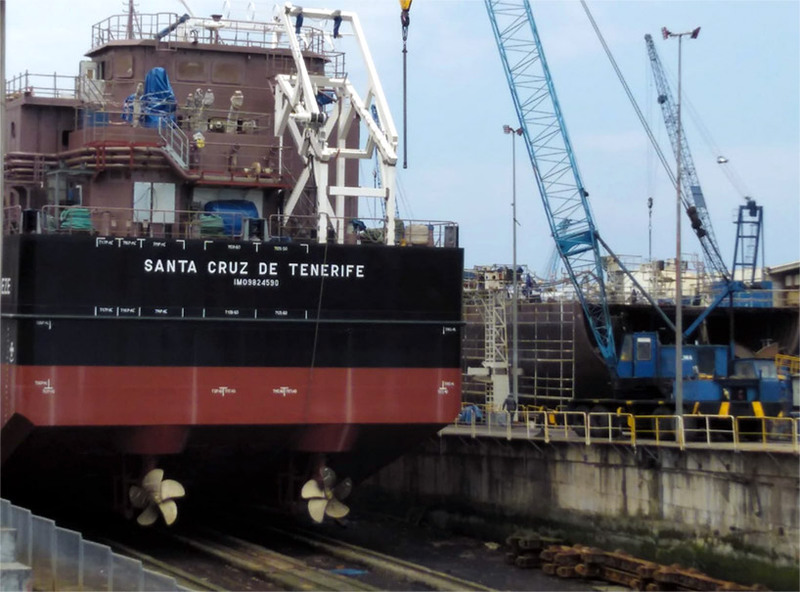 Thus, the orders to the shipyards of the Basque Autonomous Community are 20 out of a total of 55 orders in the private sector in Spain, and where Zamakona Yards owns 10 projects out of the total accounted. In order to continue this trend and be sustainable over time, the Basque Maritime Forum has launched its new Strategic Plan 2017-2020 to “deal with competitiveness” in the new economic scenario, with the aim of strengthening internationalization, to foster the cooperation between enterprises, training and innovation. For Zamakona Yards, it is always a satisfaction to support and participate at SINAVAL, as it allows us to show our capabilities and be in direct contact with the public institutions, clients, providers and the naval industry form Spain and Europe. The nutrition of the human has made fishing an essential practice and consequently has been the origin of the naval construction. This sector has been able to contribute in each moment f history solutions that have covered the needs of the fishing industry. In recent years, the fishing sector is facing big challenges due to a demand for greater profitability and performance, in addition to obey the different regulations regarding respect for the environment in all its aspects. To meet these challenges, the sector has reduced direct costs as the number of employees and has also been benefited by the price of fuel. As for the challenge of being more environmentally friendly, the gases such as CO2 and NOx have become a growing problem in a global perspective. To reduce these emissions, many governments plan to replicate land-based emissions taxes on emissions from ships in their fishing activities. While steps are being taken in the above mentioned, legislative changes are taking place regarding the specifications of fishing vessels, such as in the European Union, which foresees in the middle of the year 2017 to adopt a new regulation that grants to the Commission European competence to adapt the requirements for determining the continuous power of the engine to the technical developments and possible changes in the international ISO standards. According to the Food and Agriculture Organization of the United Nations (FAO) in its latest biennial published report on the state of world fisheries and aquaculture (SOFIA), estimated that in 2014, there were 4.6 million fishing vessels, with Asia and Africa being the regions with the highest number of registrations, since they account for 90% of the total number of vessels worldwide. From a technical point of view, according to the same FAO report, 64% of registered vessels are engine-powered, an increase of 7% compared to the previous report for 2012. This report also states that in 2014, approximately 85 per cent of the world’s motorized fishing vessels were less than 12 meters long, and these small vessels dominated in all regions. In terms of capacity, and if we focus on Europe, the EuroStat Service estimates that in 2015 the European Union had a combined capacity of 1.6 million gross tons and a combined engine power of 6.4 million kilowatts. It is also noted that almost one-fifth (18.2%) of the EU-28 fishing fleet is registered in Greece. 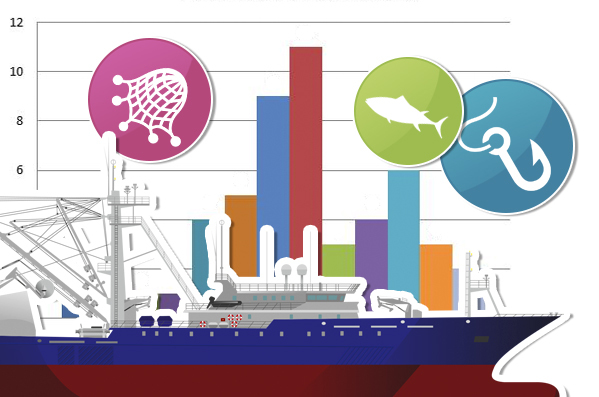 In terms of capacity, Spain, France, Italy and the United Kingdom had the largest fishing fleets, accounting for 53.9% of gross tonnage and 55.6% of engine power in 2015. There are positive data in the sector, such as the profitability of the sector. The European fishing fleet continues to be profitable, with net profits of 770 million euros in 2014, more than 50% above last year’s profits, according to the latest annual report prepared by the European Commission which also foresees record profits in the year 2016. In the case of Spain, it recorded a net profit margin of 16.5%, the third highest percentage in the EU, only surpassed by Slovenia (35.7%) and the United Kingdom (18.3%). Ireland, Latvia, Estonia and Portugal also had a profit margin of more than 10% in 2014. The outlook for fish and fisherie products trade by 2025, according to FAO, is also positive. Trade will continue to be high, driven mainly by increased consumption of fishery products, trade liberalization policies, globalization of food systems, technological innovations in shipbuilding, product development conservation, packaging and transport. All these data suggest that in the medium and long term the fishing fleet will continue to grow or will need to introduce elements of innovation in the existing fleet. Therefore, the naval sector has the opportunity to continue growing and providing added value to this sector with solutions that are more respectful of the environment and that can be applied to the current fleet, as well as the building of new ships according to the new demands of the ship-owners and legislative requirements in all respects. In this sense, Zamakona Yards has implemented the latest concepts of design and construction, as well as the most advanced technology in engineering and naval architecture in all the constructions, repairs and refit for the fishing vessels. According to the latest UNCTAD report on the maritime sector, Maritime Review 2016 , the maritime transport will continue to be the main mode of transport for the international trade, since it has the lowest impact per tonne / mile of cargo transported. This is reflected, for example, in the fact that the world fleet has increased by 3.48% to reach up to 90,916 vessels worldwide with a combined capacity of 1.8 billion deadweight tonnes (DWT). In the specific case of Spain, the naval sector is one of the main reference points in the world for its quality and construction tradition, with high standards in sophisticated vessels in terms of technology such as those that support offshore oil platforms, oceanographic vessels, Fishing, tugs, etc. For all of this and in order to put into value the capabilities of the Spanish naval sector Bilbao helds every two years the SINAVAL fair, an event that has more than 20 editions and this year is integrated for the first time in the World Maritime Week along with the Marine Energy Week, Eurofishing and FuturePort fairs from 27 to 31 March 2017 at the Bilbao Exhibition Center. This congress will offer different programs such as the organization of b2b meetings, seminars with international speakers, round tables to discuss the future for its four areas: naval, port, fishing and marine renewable energies. It is s expected to recieve shipowners and shipyards from 19 countries. The World Maritime Week will bring together leading companies in its exhibition area that will be organized by sectors in different areas. Zamakona Yards, which is also part of the companies collaborating in this prestigious event, will be present through a space to present the latest developments and projects. If you are planning to attend World Maritime Week and wish to visit us we will be happy to assist you in the pavilion LU B-38/40 C-29/31 or if you wish you can send us an email to tell us your best day and time to meet us.